Flower Child is slated to open at 2112 Pennsylvania Ave. NW next month. 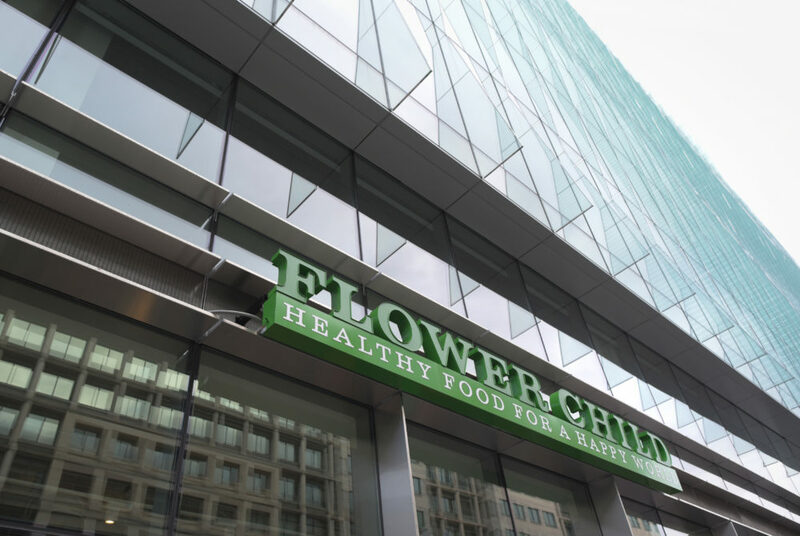 Flower Child, a fast casual eatery with an emphasis on healthy options, will open its first location in the District in Foggy Bottom next month. Located just off campus at 2112 Pennsylvania Ave. NW, Flower Child will cover all dietary bases with vegan, vegetarian and gluten-free options. The eatery is slated to open on Feb. 4 when it will start serving menu items like whole-grain wraps, salads and bowls that can be washed down with kombucha and organic wine and beer. Customers can add protein like all-natural chicken, sustainable salmon, grass-fed steak and even organic non-GMO tofu, which can be combined with your choice of seasonal vegetables, fruits and grains. The 4,300 square foot restaurant will serve breakfast, lunch and dinner and will feature an outdoor patio that can seat up to 40 customers. Flower Child’s hours will be 8 a.m. to 9 p.m with breakfast served from 8 until 10:30 a.m. and lunch and dinner served from 10:30 a.m. to close. Flower Child has more than 15 locations nationwide, the first of which opened in Tuscon, Ariz. about two decades ago. Restauranteur Sam Fox also runs concepts like Zinburger and North Italia, which is slated to open next door later this year. The Foggy Bottom location is one of Flower Child’s first locations on the east coast, but the chain has dozens of locations across the country in places like Arizona, Texas and Colorado. Along with a recent location opening in Rockville, Md. in November, the chain also plans to open storefronts in Tysons, Va. and Bethesda, Md.